↑USS Cardinal (AM-67). 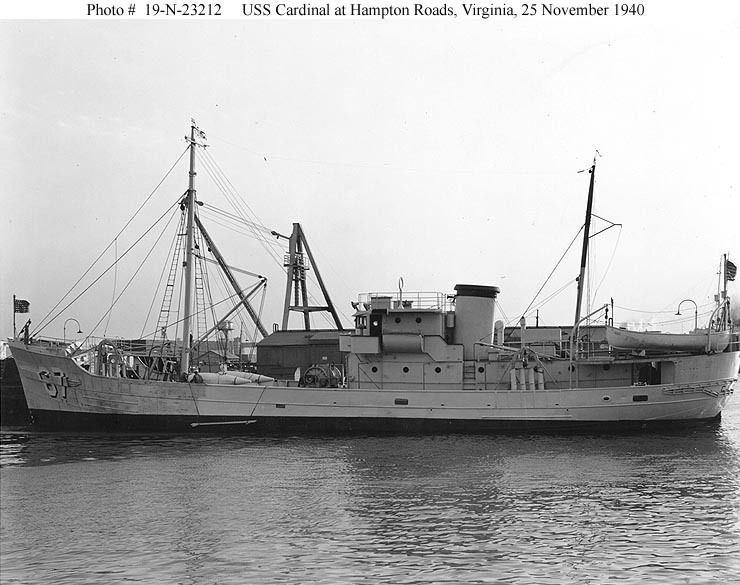 At Hampton Roads, Virginia, 25 November 1940. Photograph from the Bureau of Ships Collection in the U.S. National Archives.